The countdown to year end has begun. Our clients need to be thinking about their 2018 tax situations as your withholding may not be sufficient under the new tax laws and you may owe money with your tax returns unknowingly. There is still time to employ some tax-savvy moves that could potentially decrease this year’s bill. Tax reform legislation has changed the rules of the game, so it’s important to discuss end-of-year strategies with your tax advisor as soon as possible. 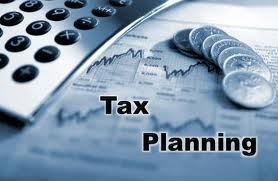 If you would like to schedule an appointment to find out potential tax saving opportunities and prevent a potential unpleasant surprise when we prepare your tax return next spring, please contact Mark. This entry was posted in Tax and Money Tip of the Week and tagged NC CPA, NC Tax Laws, Raleigh CPA, Tax and Money Tip of the Week. Bookmark the permalink.